In November 2001, Salim Ahmed Hamdan, a thirty-one-year-old Yemeni man, was captured near the border with Pakistan and turned over to U.S. forces in Afghanistan. After he had confessed to being Osama bin Laden's driver, Hamdan was transferred to Guantnamo Bay, and he was soon designated by President Bush for trial before a special military tribunal. The Pentagon assigned a military defense lawyer to represent him, a boyish-looking thirty-five-year-old graduate of the Naval Academy, Lieutenant Commander Charles Swift.No one expected Swift to mount much of a defense. The rules of the tribunals, America's first in more than fifty years, were stacked against him-and that is assuming that his superiors didn't expect him to throw the game altogether. Instead, Swift enlisted the help of a young constitutional law professor at Georgetown, Neal Katyal, to help him sue the Bush administration over the legality of the tribunals. 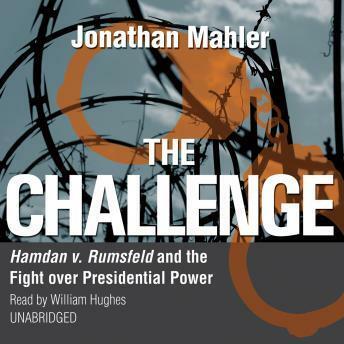 In the spring of 2006, Katyal argued the case, Hamdan v. Rumsfeld, before the Supreme Court and won.Written with the full cooperation of Swift and Katyal, Hamdan v. Rumsfeld is the inside story of this seminal case, perhaps the most important decision on presidential power and the rule of law in the history of the Supreme Court, as told by a writer for The New York Times Magazine. Jonathan Mahler follows the story both of Swift's relationship with Hamdan, in particular his struggle to keep his client alive in Guantnamo, and of the unprecedented legal case itself. It is a legal thriller in the spirit of A Civil Action, set against the backdrop of the war on terror and the battle over presidential power.